The Rebel Sweetheart. : Foodie Goodie | Le Manays. You know how those hole-in-the-wall restaurants often turn out to serve surprisingly good food? That is exactly the case with Le Manays, a fairly new snack shop nicely tucked in the busy streets of San Pablo City. I've been to this place several times before, and have called for delivery twice or thrice. (Yes, they do deliveries!) Guess that goes to show their food is worth coming back for, and merits a spot on my blog. 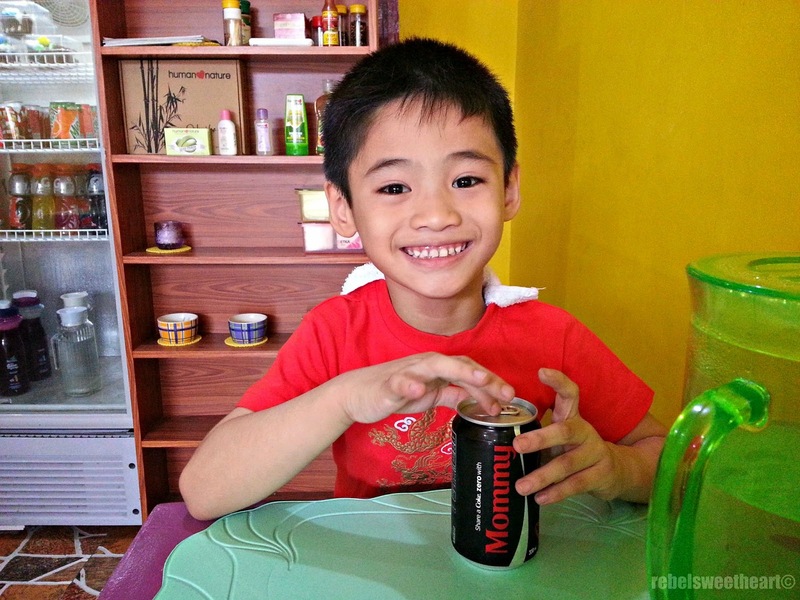 Last week, the little man and I came back to Le Manays, where we had lunch to celebrate his Dad's birthday. It was actually the little man who suggested dining at this place, saying that he wanted to eat their 'crazy spaghetti'. Little man at Le Manays. That's spaghetti threaded through hotdog bites, with a slightly sweet sauce that kids will surely love. 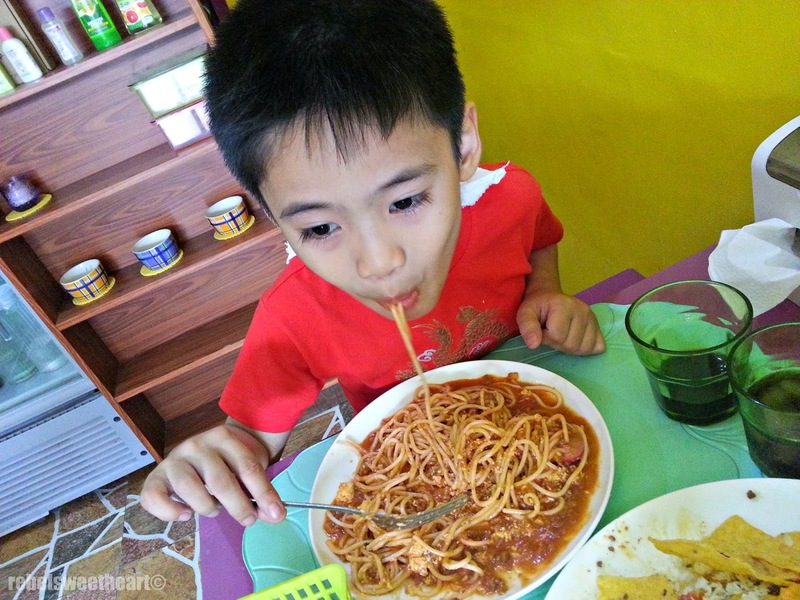 It's written on the menu as 'Grasya's Crazy Spaghetti'. 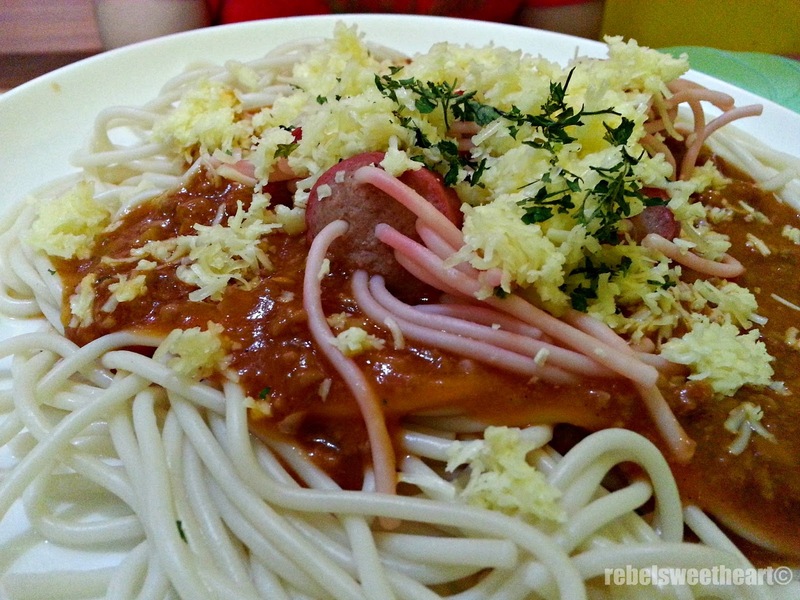 Grasya's Crazy Spaghetti, Php 60. It comes in a pretty generous serving, too. 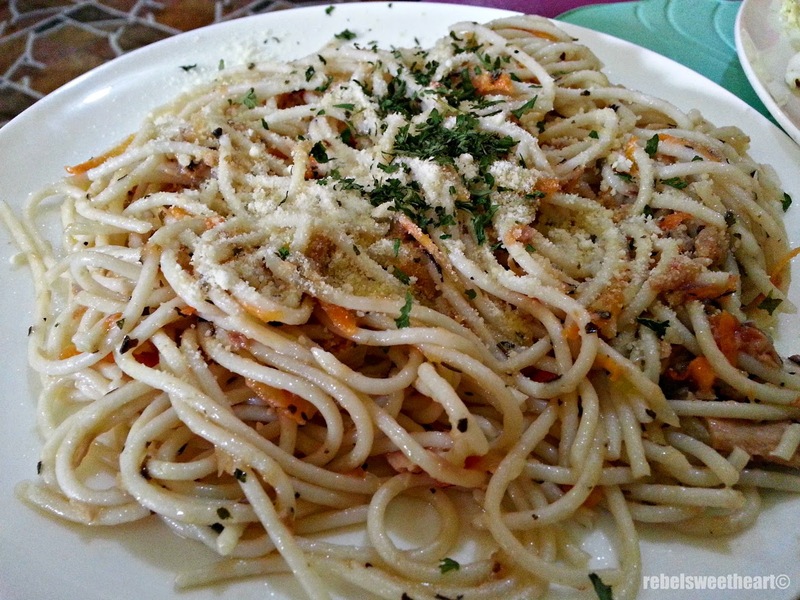 As for me, I had their Dencio de Mare Tuna Pesto Spaghetti. Served with tuna, green pesto, herbs and spices, and Romano cheese, this dish is quite flavorful though it's not as 'green' as you'd expect a pesto pasta to be. Dencio de Mare Tuna Pesto Spaghetti, Php 60. 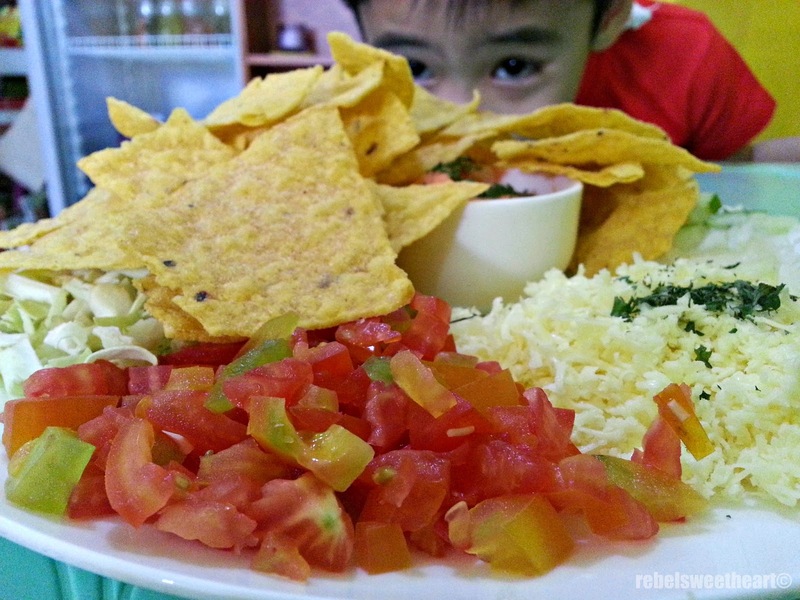 We also ordered their Kajo's Beef Nacho Platter for sharing. This is one of my favorites in Le Manays menu. Crunchy nacho chips, a medley of fresh veggies, lots of cheese, plus ground beef that's seasoned just right - this dish is definitely a must-try. 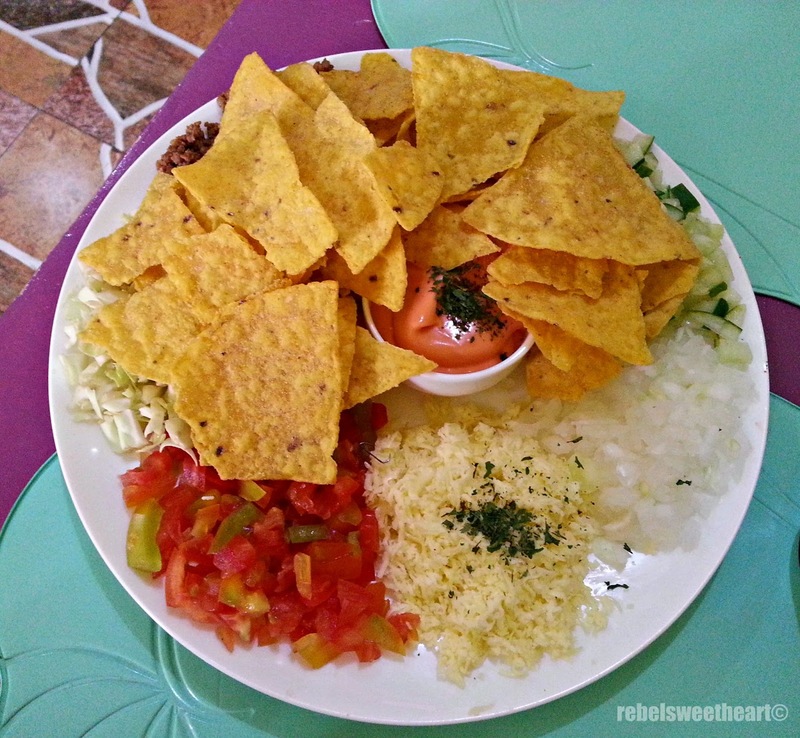 Kajo's Beef Nacho Platter, Php 100. Aside from pasta and sandwiches, Le Manays also have an array of desserts on their menu. This includes Mer-Nel's Chocolate Cake (yes, that's the famous chocolate cake from UP Los Banos) which we ordered for take away. 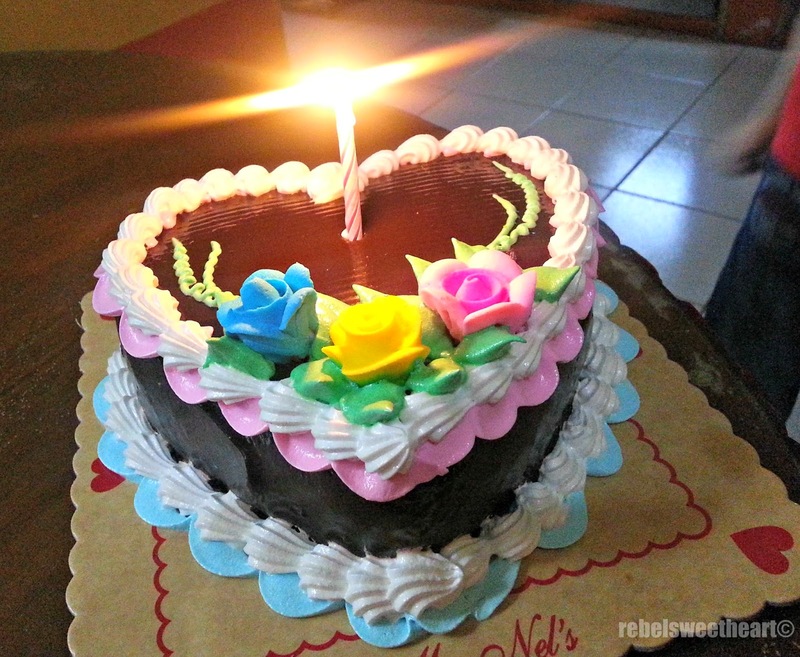 Mer-Nel's Chocolate Cake, Php 190. Other note-worthy dishes on Le Manay's menu are the Pancit Wrap (spring rolls filled with pancit bihon), Halo-Halo While Walking (creamy halo-halo served with a straw and tastes as good, if not better, than Razon's), and Brazo de Mercedes cupcakes (an original by Bake it Away, these are Brazo cakes conveniently served in to-go cups). 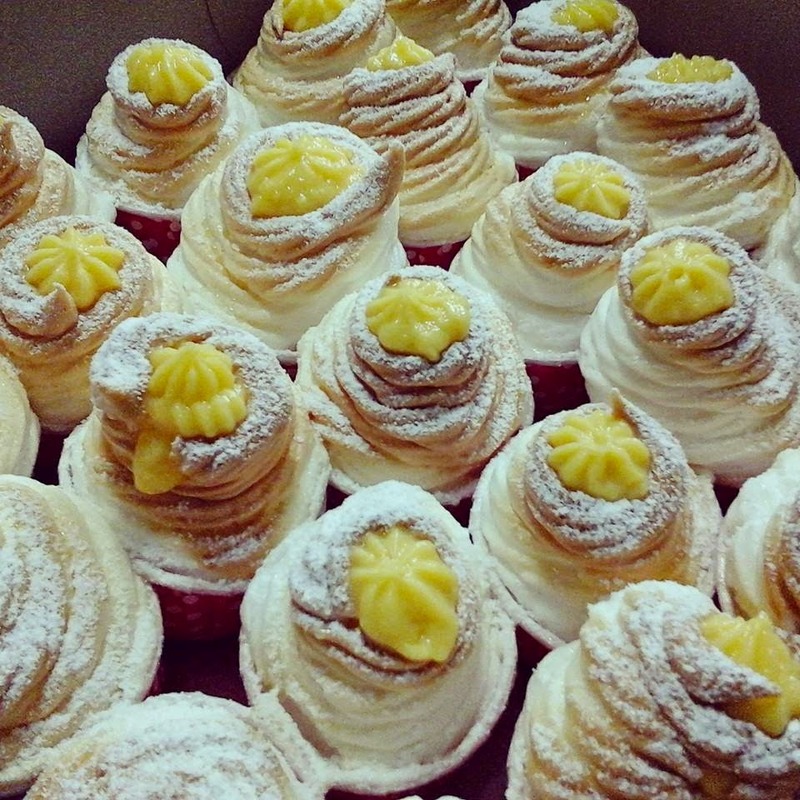 Brazo de Mercedes cupcakes, Php 40 each. Thank you very much for always sharing your and Yues smiles @leManays. This serve as an inspiration from LeManays Family to serve and provide great foods and smiles to all who share their Smiles with LeManays! More power and WorldPeace! Awwwwwww!!! The Brazo Cupcakes looks so good, kaya lang ang layo ng San Pablo! OMG BEEF NACHOS!! Please take me to Laguna!! I'm drooling!>_< The food looks really good! I love hole-in-the-wall kinda restaurants! Hole in the wall restaurants always seem to be the best--even here in NY-and I am including the city in this statement as well as the out lying suburbs! This place sounds great but I doubt I will ever get there unfortunately. Those noodles look so yummy, and I love your little one's smile. You can tell when the food is delicious just by looking at a kid's face. YUM!